With spring beginning here in Hartland Michigan many people are thinking about their roofs. Since the temperature is starting to rise many home owners are considering getting a new roof installed on their home. Finding a roofing contractor who can install your roof is easy but they aren’t all the same. In fact, prices and quality of roofing contractors in Hartland Michigan can vary greatly along with the customer service that you may receive from other roofing companies. At Livingston Roof Pros however we strive to give you the customer the best quality service and materials for your roof. On top of that we go above and beyond when it comes to customer service. We have included 5 reasons in this article on why we think we should be your roofing contractor in Hartland Michigan and if you decide to go with anyone else make sure these points are met. To put it simply, without our customers we would not be in business. We are not a fly by night company that is only here for the short term. We’ve been part of this community for over 20 years and we’ll continue to serve the great folks of Hartland Michigan. We do everything we can to ensure our customers understand the work we are performing and if a problem does come up we work closely with the customer to ensure they are completely satisfied with the work we do. When storms and damaging winds come through our area many roofing contractors from other areas will start promoting themselves in the area. While these contractors may be fully qualified and can do a great job they aren’t local. So if there is a problem later that roofing contractor may not be available. Plus, by using Livingston Roof Pros you’re keeping your local economy growing as we are part of this community. When it comes to installing a new roof or even getting roof repairs in Hartland Michigan you always need to use fully qualified, license, and insured roofing contractors. This can help to protect you, the home owner, in a variety of ways. One of the biggest problems of using a contractor who is not fully qualified is that it can void the warranty on your new roof. So always make sure you use a roofing contractor like Livingston Roof Pros who is fully licensed and insured. A handshake and a promise are great but when it comes to a major project like your home’s roof it’s always best to have the details of the project in writing. Before we begin work on your home we’ll offer a contract which outlines and details the work we will do, and the materials used on the project. Be sure to ask the roofer about the contract for your project and let them go over the details with you before you sign. The roofers we have at Livingston Roof Pros have decades of combined experience in roofing. This experience is mostly with asphalt shingles and fiberglass shingles which are most common in the Hartland Michigan area. We also have many years of experience in metal roofing as well. Make sure the roofing contractor you use has lots of experience with your roofing needs. Are you ready to get started on your roofing project? 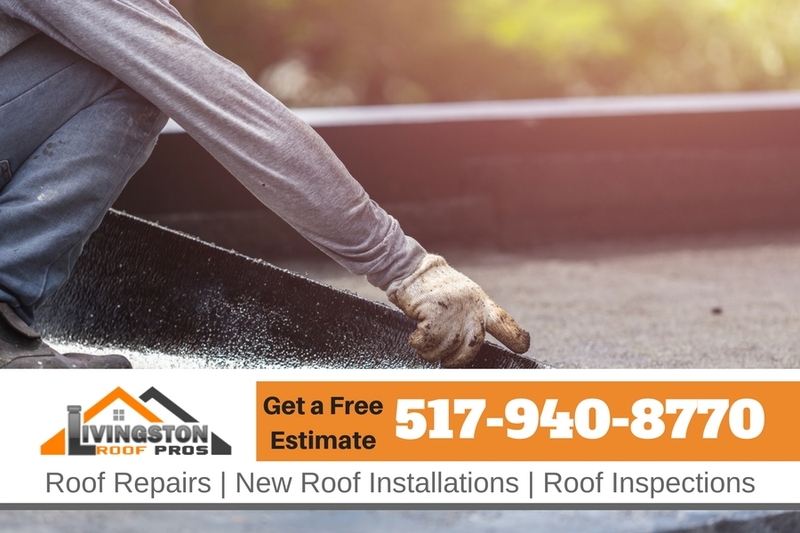 Be sure to call Livingston Roof Pros today for your roof repair and new roof installation needs. We offer free estimates on roofing projects in Hartland Michigan.